In November 2013, the Audit Commission in its report “Protecting the Public Purse” stated that in 2012/13 the NFA estimates procurement fraud cost local authorities £876 million, making it the single largest area of financial loss to fraud in local government. 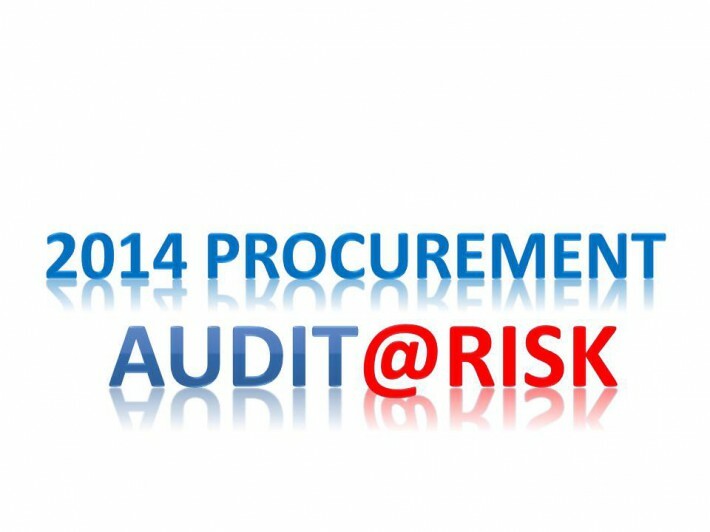 However for the same period the total value of detected procurement fraud by local authorities was £1.9 million. This was spread over 203 detected cases (average £9,360 per case). A detection rate of 0.22%. Can you reduce such losses – Emphatically Yes! Brian Farrington Ltd., (BFL) has been providing Procurement Consultancy and Training and Procurement and Supply Chain Audits since 1978. We are a firm believer that “prevention is better than cure! and to this end we have developed an online tool – Procurisk® , which can provide a laser like focus on those areas that those Auditing external spend (and Managers of those spending it) should concentrate on.